This is Dying Light expansion pack. Dying Light: Bad Blood for PC is a stand-alone expansion to the zombie-infested open-world game developed in 2015 by Polish Techland. In contrast to the original title along with its expansion The Following, Bad Blood focuses on multiplayer PvP combat in the battle royale style. The action of Dying Light takes place in Harran – the city overtaken by a plague which turns people into all kinds of dangerous zombies that become even more deadly at night. As Bad Blood focuses on multiplayer, there are no new plot elements. This is an open-world title in which the player, surrounded by zombies, strives to survive. Gameplay focuses on a complex, yet intuitive combat system and parkour exploration of the world (you can e.g. climb, jump on the roofs, roll, and slide). Rapid Looting – 6 players arrive on a map stuffed with zombies. Each user has the same goal: to escape before it gets dark. The players can make use of parkour moves in order to quickly penetrate the map and gather any item that gives the edge. The clock is ticking. Allies & Traitors – in this mode, the player has to pay for his helicopter evacuation. In order to do so, they need to gather as many zombie blood samples as possible. The players are forced to enter into alliances to gain the tactical advantage over the enemies. Still, sooner or later, friendships end, and betrayal becomes inevitable. Evacuation – each player is looking for evacuation. The more samples they possess, the more evacuation points there are. Importantly, every user secures their escape individually, so alliances expire quickly, and stabbing in the back is a common practice. Apart from getting zombie blood samples, the players have to survive during their way to the evacuation point. 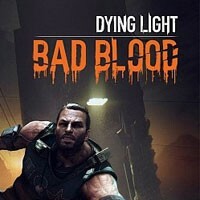 Dying Light: Bad Blood published on PC is powered by the sixth generation of Chrome Engine, which generates amazing visuals. Without visible FPS drops, Techland’s technology can e.g. display large areas with realistic geometry and lighting, and a humongous number of enemies. The animations and physics are also very good.